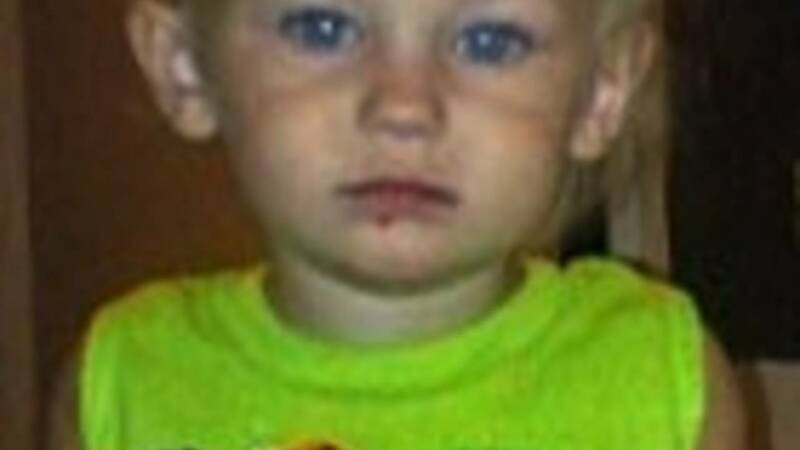 JACKSONVILLE, Fla. - It has been one full day since an Amber Alert was issued Friday morning and police began searching for 21-month-old Lonzie Barton. The Jacksonville Sheriff's Office is searching for the child, who was last seen outside a unit at the Ravenwood apartment complex on South Old Kings Road about 2:20 a.m. Nearly two hours later, police issued an alert for Lonzie, who was believed to be taken during a car theft. 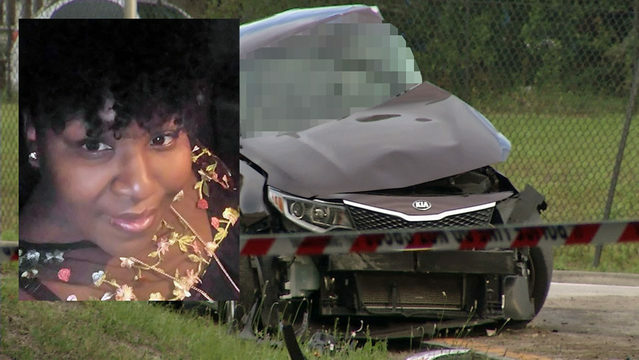 According to Chief Tom Hackney, the mother's boyfriend, 32-year-old William Ebron, was getting ready to pick up the mother, 25-year-old Lonna Lauramore, from work at Wacko's Gentlemen's Club around 2 a.m. 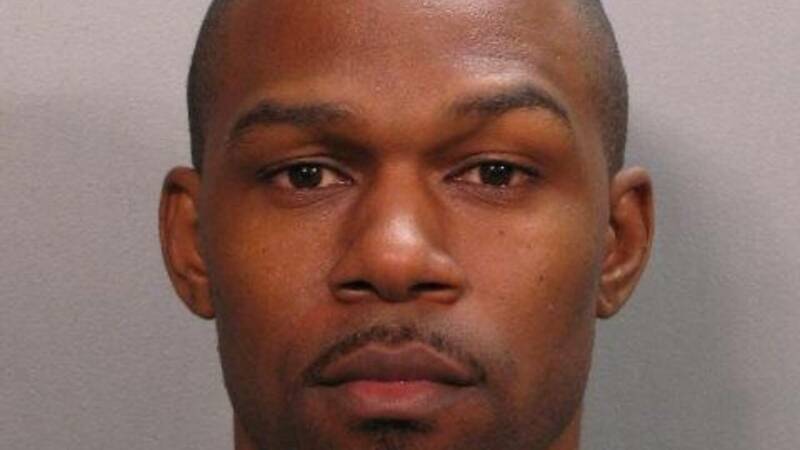 He gathered Lonzie and his 5-year-old sister into an orange 1995 Honda Civic. Before leaving the complex, Ebron (pictured in JSO booking photo) had to run back into the apartment. He left the car running along with the two children inside. The little girl ran up after him and told Ebron that she was scared. When they went back to the parking lot, they saw the Civic leaving, driven by an unknown person, with the toddler still inside the car. Police were called to the scene and were able to locate the car within 20 minutes about four blocks away with the keys still in the car, but Lonzie was not inside. Lonzie has blond hair, blue eyes, weighs 20 pounds and is about 2.5 feet tall. He was wearing only a diaper when he was last seen. Hackney said police are calling on whoever might have Lonzie to drop him off in a safe, public place. "He's somewhere. We want to find him. We want to encourage whoever may have him: Let Lonzie go," Hackney said. "There are a bunch of places you can take that child in public." Friday night police scaled back the search for the evening but as many as 60 detectives are expected to help pick up the search again Saturday morning. "This is getting late into the night and I am very, very concerned. I've got grandkids of my own," Maxcine Zapata, a resident in the area, said. The abandoned Civic was found just yards away from Zapata and her husband's home, in the neighborhood where they have lived for more than 30 years. With officials asking residents to keep a close eye out for Lonzie, Zapata said they are happy to help. "Everybody will get out and we'll walk and we'll look, we'll help. We'll do all that we can to make sure that this child is found alive," Zapata said. "They wanted the names of everybody that lived in the community and (the police) wanted to walk the back fence again and I told him he was free to do anything that he needed to do to make this, you know, come together." Lonzie's father in Baker County has been contacted and police do not believe he is involved. JSO reports Lauramore is also being very cooperative in the investigation. Ebron has had run-ins with law enforcement before, Hackney said. Jacksonville Sheriff's Office records indicate at least half a dozen arrests for Ebron from 2007 to 2012. A manager at Wacko's confirmed Lauramore was working Thursday night and her shift ended at 2:30 a.m. The manager said Lauramore is from Macclenny and has been a dancer at the club for about three months. The manager said the club has not been contacted by police yet. Both Lauramore and Ebron are being questioned by police. Hackney said Ebron is providing information but that it hasn't been "as easy as it should be to get that information from him." "It's been a little bit like pulling teeth getting information, and it shouldn't be that way," Hackney said. Lauramore told police that she last saw her son around 8 p.m. Thursday night. JSO air units, police bloodhounds, K-9 units, FBI detectives and other law enforcement are helping with the search. They had set up a grid around the apartment complex, Hackney said. "We believe this to be an abduction," Hackney said. "We are working this as an abduction." Police were seen searching several scenes on the Southside in heat that reached 100 degrees in the shade in a parked car Friday. They were investigating the scene where the car was found in the 8100 block of Cesperdes Avenue. They also searched the apartment complex on south Old Kings Road, including a dumpster on the property. JSO officers stood near the entrance and exit of the apartment complex asking residents if they could check their cars for the child. A dive team also came out, searching the swimming pool at the apartment complex and nearby drainage ditches. Police are trying to figure out where Ebron was all of Thursday night to see if that helps them find Lonzie. 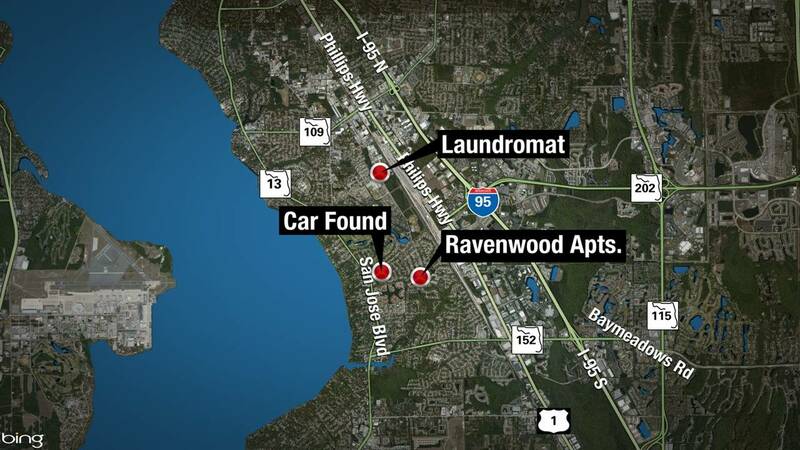 Police were also searching a laundromat on Powers Avenue, where Ebron reportedly washed some clothes Thursday night. Around 2 p.m., crime scene tape went up around the area, which is about 1.5 miles from the apartment complex, and three crime scene vans were seen investigating near a dumpster on the property. Investigators took a brown bag of potential evidence from the dumpster and reviewed surveillance video. "We've had the car. We're in the process of having the vehicle processed. We will take what we can get from that car. Again this car was running, so it's not like you had to touch keys. So we will work through whatever forensic evidence is in the car as soon as we can. We're looking for fingerprints, looking for DNA evidence. Unfortunately, those results take some time. And time is not really on our side, but we are working through any angles that we can," Hackney said. Hackney said they are still considering the possibility that Lonzie just wandered away from the car, either when he was left alone at the complex or when the car was abandoned, but he said detectives believe that if that was the case, it's likely the boy would have been spotted wandering around by now. One woman came to the area with her daughter trying to help with the search, but police said they're not asking civilians to help with the search yet. "I am really worried for him. 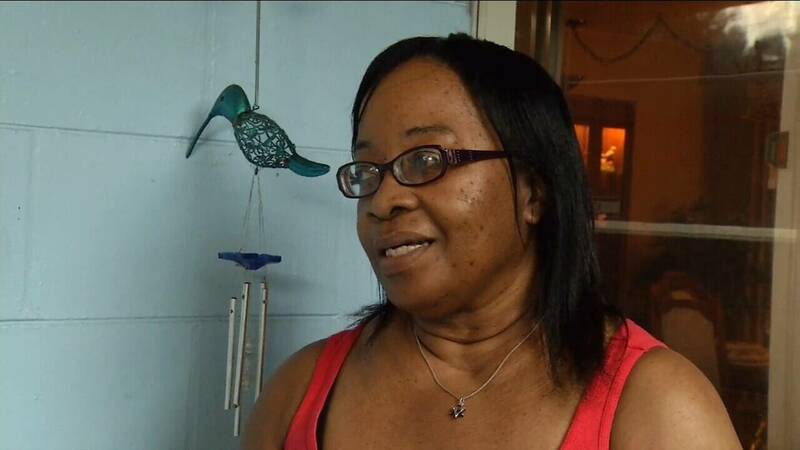 I have my own babies, and I am scared for the parents," Khristina Wiggin said. 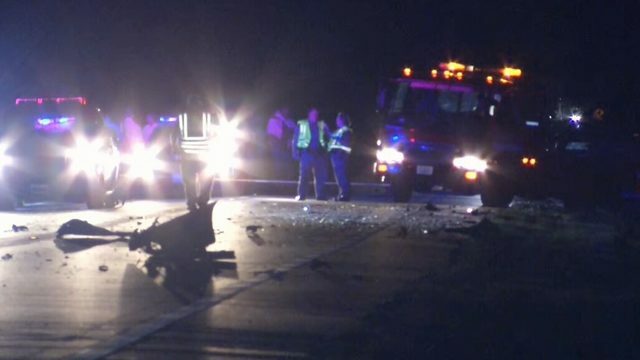 "We will help walk around with them, because I am afraid that if he got out of the car when the dad went upstairs, if the baby got out, maybe he could've just walked around and got in the ditch or something. You know, he doesn't know how to swim. We are just really worried." Hackney said police are going door-to-door around the Brierwood area asking residents as they come home from work to check around their homes for Lonzie. "Look around your house. Look in your shed. If you have a tarp covering something, look anywhere a 21-month-old could hide," Hackney said. Police were asked if Lonzie was reported missing at 2:20 a.m., why the media wasn't notified until after 4 a.m. and the Amber Alert was emailed to the media and others who subscribe to those notifications at 7:15 a.m.
"There were issues that were brought to my attention that I wasn't satisfied with, with time and notifying the media with this," Hackney said. "Time is of the essence. That knowledge is power for the public and for the media as well. We'll get to the bottom of what actually transpired when it came to making these calls, but the most important thing now is to recover this child." Police said there was also a delay because Ebron's cellphone was dead and he had to plug it in before he could call police to report the incident. But officers responded within two minutes of getting the call from Ebron, Hackney said. "Originally, we thought the child was with his father or other family circumstances were involved," Public Information Officer Melissa Bujeda said. Police said they've brought in a specialist to question Lonzie's sister, and the 5-year-old was cooperating but was tired and hungry, so detectives were letting her rest Friday afternoon, so they could interview her again later. John Fleming, who lives about a mile away from the complex, said he saw the car in front of his home yesterday afternoon before it started raining, but he said the car was gone by the time his son came home at 10:30 p.m. Thursday. He said he'd never seen the car in the area before. "It started getting dark, and that car was out in front of my house, and we didn't think anything about it," Fleming said. "We thought it might have been one of the neighbors." 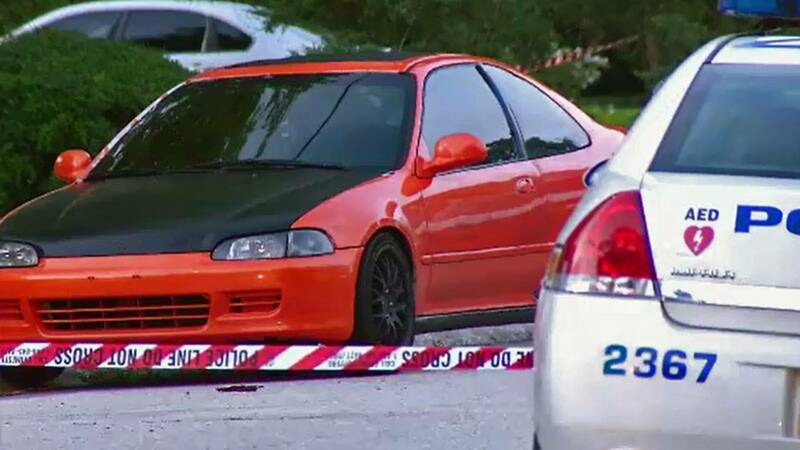 The Honda Civic was found by police abandoned in that same area on Cesperdes Avenue Friday morning, about 50 feet from where Fleming said he saw it the day before. "The police showed up this morning, saying they needed to look at my home video to see if my video picked anything up," Fleming said. "We looked at all the video that was on my camera and stuff and they didn't see anything from there." He added that initially, he didn't think anything was abnormal about the car. "I didn't think anything about it until they said it was still running. Once you get up closer, you can hear it. It's a pretty quiet vehicle," Fleming said. The car was towed away by police. Hackney said it doesn't appear that the car being seen in the neighborhood the day before has any connection to the missing child case. He urged citizens to contact police immediately if they have any information on Lonzie's location or the the incident. JSO had received 20 to 25 tips by about 5 p.m., Hackney said. "We're going to follow up on every tip that gets called," Hackney said. Hackney said investigators will continue to search until nightfall and that detectives will remain on the case at the complex overnight. Hackney said if there is any break in the case, police will update immediately throughout the night and that there will be another update Saturday morning with a recap of the overnight activities. "The longer this goes on, the worse the outcome can be," Hackney said. "We will not stop looking until we come up with a resolution to this." 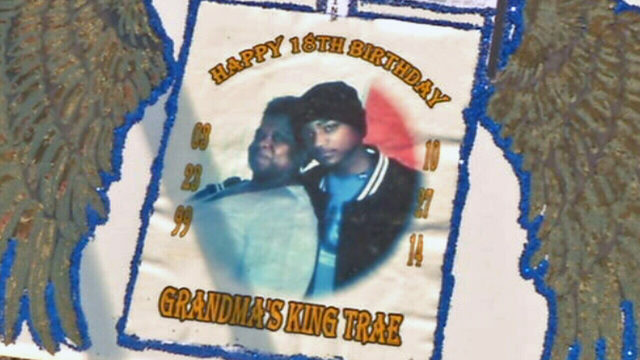 News4Jax crime and safety analyst Gil Smith said police have to approach this case with many unknowns. "It's a very frightening situation. There are so many different areas it could go in. Did the child get out? Did the person take the child with them? Is the child in one of the residences on the scene? 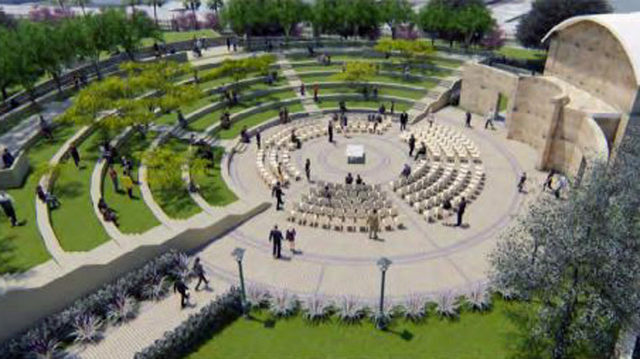 That's the main thing they're going to be looking at here, and I'm sure they have already," Smith said. "To check all the houses here in the area, knocking on doors. Also searching the properties, all the houses on the sides and the back of the residences -- anywhere the child may have been able to walk to." News4Jax has multiple crews on the story and will be providing updates throughout the day. This article will be updated every time new details are available.